“Each [person]’s life touches so many others,” says Clarence the angel to George Bailey in It’s A Wonderful Life. If we didn’t know that already, Lauren Hill has taught us. On November 2nd, my community members and I watched from the Cintas Center stands as Lauren made her first college basket for the Mount Saint Joseph University (MSJU) Lions. 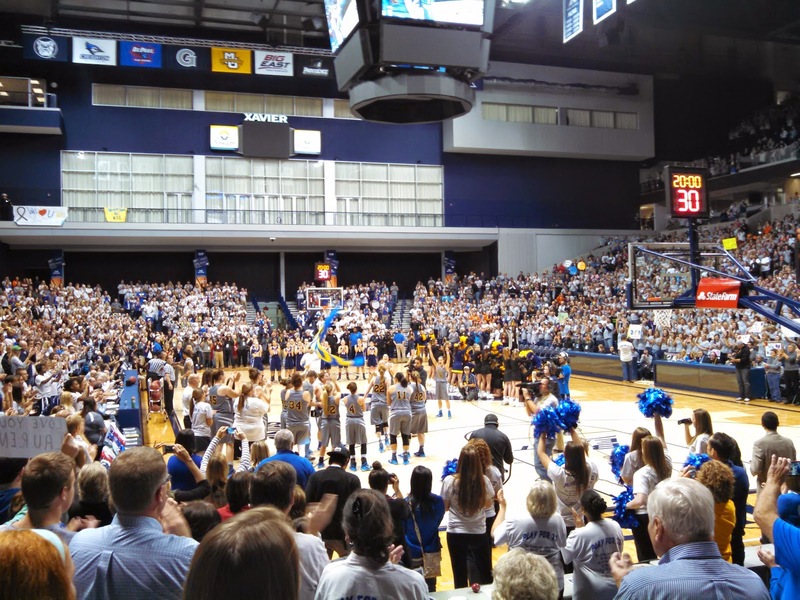 On Monday night, we gathered again at the Cintas Center in Lauren’s name. This time, it was to say good-bye to the remarkable young woman who died from cancer on April 10th. 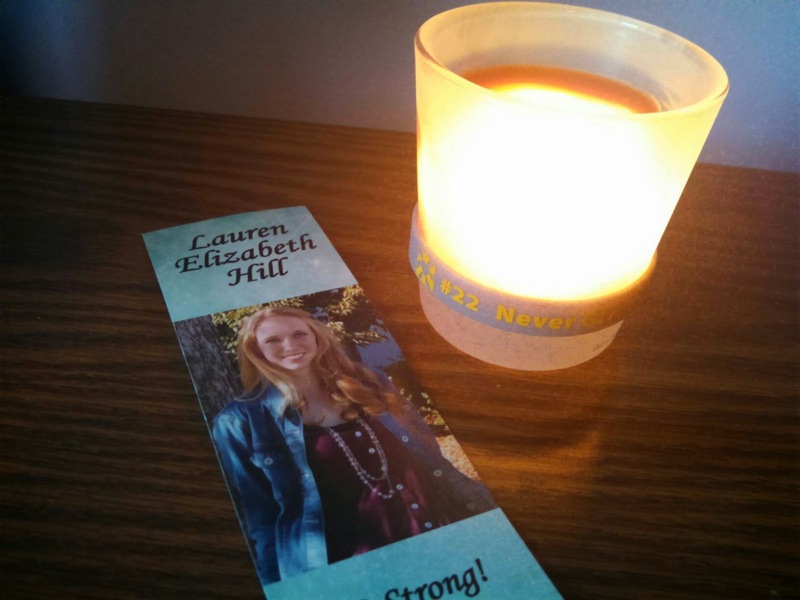 Walking into Monday’s memorial service, each of us received a bookmark with a beautiful photo of “Lauren Elizabeth Hill.” We Sisters of Charity smiled as we read Lauren’s middle name for the first time. Saint Elizabeth Ann Seton is the foundress of our congregation, as well as some others in the Charity Federation. Lauren heard about St. Elizabeth when she became a student at MSJU, a school founded and sponsored by the Sisters of Charity. Intrigued, Lauren made a point to learn more. And then, perhaps without knowing it, she shared the Charity charism with the world. Does she not embody Elizabeth’s radical love and determination in the face of adversity? How providential that Lauren bears the name of such a strong, faithful woman! As I read the list of “Lauren’s Life Lessons” on the back of the bookmark, phrases of St. Elizabeth kept coming to mind. “Keep kindly to the grace of the moment,” Elizabeth tells us. Lauren says, “Find the light in each moment,” and, “Live in the moment.” She showed us how to do this, present and joyful at each step of her journey. Elizabeth encouraged her sisters, “The first end I propose in our daily work is to do the will of God; secondly, to do it in the manner he wills it; and thirdly to do it because it is his will.” Lauren says, “Trust in God and that we’re all here for a greater cause.” She, like Elizabeth, remained courageously open to God’s call and lived her mission generously. I would venture a guess that Elizabeth was by her side as she gracefully walked a tough road. The phrase “catch 22” comes to mind as I consider Lauren’s beloved basketball number and unique, paradoxical situation. One way to get closer to finding a cure for DIPG was for her to endure the disease and eventually die from it. Some people would have collapsed into despair or anger. Lauren transformed her own bad news into good news for others. We might call this the Paschal Mystery. 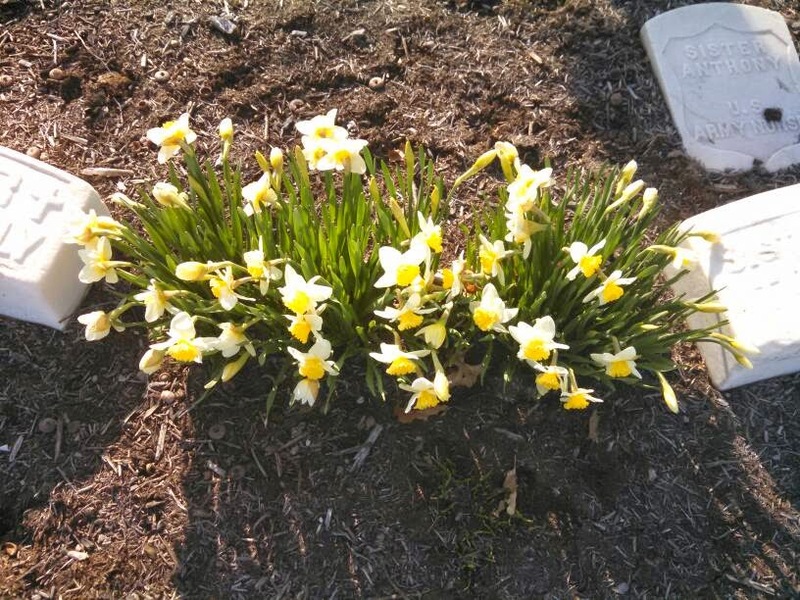 Facing death, she embraced life! In her suffering, she brought healing to others. From her surrender, goodness has sprung forth. Out of darkness has come radiant light. It seems no coincidence that Lauren entered eternal life during the Easter Season. She carried hope in her DNA and preached Resurrection to the world better than any sermon could. Now, I pray that we can all “catch 22” – that we can grasp her brilliant spirit and put it into practice in our own lives! The world could use a little more Lauren Hill. In Lauren Hill’s honor, I invite you to listen to this song. Then, live it!